Can I get an Expungement in Oklahoma for DUI? What is an Oklahoma expungement? It is the legal process to have an arrest or conviction for DUI erased from the drivers record. In the state of Oklahoma it may be possible, depending on the offense, to get the record expunged. What will the expungement mean for you and your criminal record? 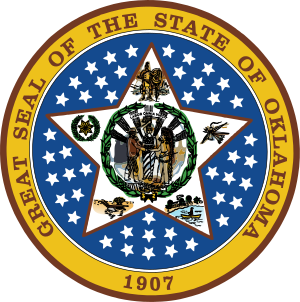 According to the state of Oklahoma, if the conviction is expunged the state "shall be deemed never to have occurred, and the person in interest and all criminal justice agencies may properly reply, upon any inquiry in the matter, that no such action ever occurred and that no such record exists with respect to such person." One of the main reasons that drivers choose to have their criminal records expunged is because it can eliminate the humiliation of including the charges on employment applications. The DUI conviction, if expunged, will also no longer be visible to entities who choose to do background checks. What can a background check show? Whether you are requesting a professional license, entering college, joining the military or applying for medical school, a background check may be done. Information that may be accessed by the background check can include information about the Oklahoma drunk driving arrest, information about your conviction, your DUI penalties, your plea agreement, the trial history and your sentencing. Who has this information? The Oklahoma Department of Public Safety (DPS), the various Municipal Courts, and the State of Oklahoma's District Courts will all have information about your DUI arrest and conviction, and this information may be kept in their databases for years. Insurance companies may also access your driving record and increase your insurance costs or choose to deny you coverage. Drivers who were given a deferred sentence may have their drunk driving information expunged from their driving record as soon as they have completed all of the requirements under the deferred sentencing agreement. Complete expungements may be available to Oklahoma drivers who were charged with a misdemeanor DUI if the charges were dismissed within one year of filing, the driver was found not guilty or acquitted at the trial or if 10 years has passed since the date of the drunk driving conviction and the driver has not been charged with another crime. Drivers who were charged and convicted of a felony DUI must receive a pardon from the governor of Oklahoma to have their DUI conviction expunged. Talk to a DUI lawyer about the process for pardons through the Oklahoma Pardon and Parole Board. The best was to avoid needing a DUI expungement is to not drink and drive. If you have been convicted of a DUI in Oklahoma expungements may be allowed, but as mentioned above, certain requirements must be met. Expungements do not automatically just happen and criminal convictions do not automatically get deleted from criminal records. Drivers must follow through with the proper expungement steps as determined by each state. Talk to a DUI lawyer for more information.